Built in 1787 the White Swan has seen many changes as a public house but has always maintained its friendly and warm atmosphere. If you are looking for a light bite, business lunch or something more formal, the White Swan can accommodate – or just pop in for a drink and choose from an extensive list of wines, spirits, lagers and cask ales or whisky's. Please use our online booking form - If the online reservation system is showing no availability please give us a call as we will always do everything we can to accommodate you (even though the computer says no we can sometimes say yes!). Please note we can't always book specific tables but if there is an area you would prefer please mention it when booking and we'll try to accomodate or at least get back to you to say if we can't. In our upstairs dining room we do not allow under 5's but elsewhere children are welcome up until 6.30. Please let us know if you require a high chair or space for a buggy when making the booking and we will try to find you a suitable table as space is very limited on some. On Sundays we only book for our first sitting ie up to 1pm. After this time we operate a first come first seated waiting list where tables start to come free around 2pm and you're welcome to grab a drink at the bar while you wait. We only accept bookings for dining but do have a few tables that are set aside if you just wish to have a drink (although these can't be reserved). Unfortunately we do not reserve tables in the garden. We had an unhurried lunch and the staff were friendly and helpful but not too intrusive. I had the warm duck salad which was delicious and my companion had the brie and avocado ciabatta with chips which was substantial. There is a good choice of wines too. The atmosphere is still like an old pub rather than a gastropub and there were a variety of customers. A good place to go if you want a quiet, reasonably priced lunch and you can sit outside if the weather is warm. We had the upstairs room for a leaving dinner and couldn't be more pleased with how the evening went thank you. The service from Anne was fantastic, she really looked after us and this was very much appreciated. The menu and food were excellent and everyone said they thought it top quality. Thank you for a lovely evening, we will be back. The food and service were both excellent. One of our party was coeliac and the waitress could not have been more helpful. The chef adapted dishes carefully. And next time, with good weather, we hope to be in the garden. Thank you for your hospitality. We've so enjoyed the pub over the past years and will remember it fondly now that we're leaving the UK because of Brexit. An excellent venue with good food, beers, wines and service. The best pub in Richmond for me! Just need to stock brown sauce! A most enjoyable long lunch with friends. The food was delicious and the wine Vg value. Another lovely evening at The White Swan - service was brilliant, wine was delicious as was food. Mains portions were a little small but top quality food! Had a lovely Sunday afternoon lunch, catered for all needs and were very accommodating! Lovely atmosphere, excellent service and very good food. We all enjoyed ourselves. Birthday supper...cosy, yummy food and wine, super friendly. Great evening thanks. Have visited the White Swan many times over the years and the food and drink are consistently of a high standard - the Otter ale is particularly good! Staff are always friendly and welcoming as well as efficient. 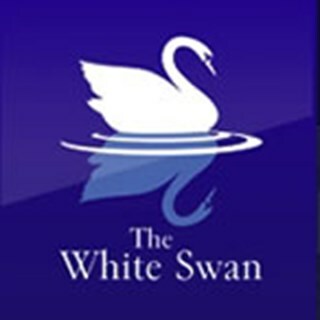 When my friend visits from 'up North' he always insists we go the White Swan. In my opinion this is the best pub in Richmond. I booked a table for my birthday and I was pleasantly surprised by the amazing service, quick booking and amazing food. Definitely recommend it for a relaxed Sunday roast with friends. Lovely really helpful staff. Delicious food and beer, v slight quibble that the roast potatoes were a little underdone and the cauliflower cheese didn't seem to have cheese but still an absolutely yummy roast lunch with extra gravy provided immediately on request. Thank you! Enjoyed re visiting you as not been for six months? Good value food and a nice welcome with friendly non fussy service . Will see you again I promise. We go to the White Swan very often and we have never been let down by anything. Food is fantastic, service very friendly and in general a good restaurant. Try the cauliflower soup and the lamb is fantastic as well. The bangers and mash is an enormous portion. We will definitely be back.